MENGO – 2018 FUFA Women’s Cup losing finalists She Corporates have been drawn to face Uganda Martyrs High School in the quarter finals of this year’s edition. This was confirmed on Wednesday, April-17th, as the draws were conducted at FUFA House in Mengo. She Corporates who lost 2-0 against Uganda Christian University (UCU) Lady Cardinals in last year’s final played at Kabwohe playground in Sheema district, will be away from home in the last eight. They will have to be worry of Uganda Martyrs threat as the Lubaga based side poses, in their ranks, a one Shadia Nankya, the leading scorer of the competition with 7 goals thus far. For League debutants Lady Doves, they have been handed a date with inaugural winners Olila High School WFC who eliminated Kawempe Muslim in the round of 16. 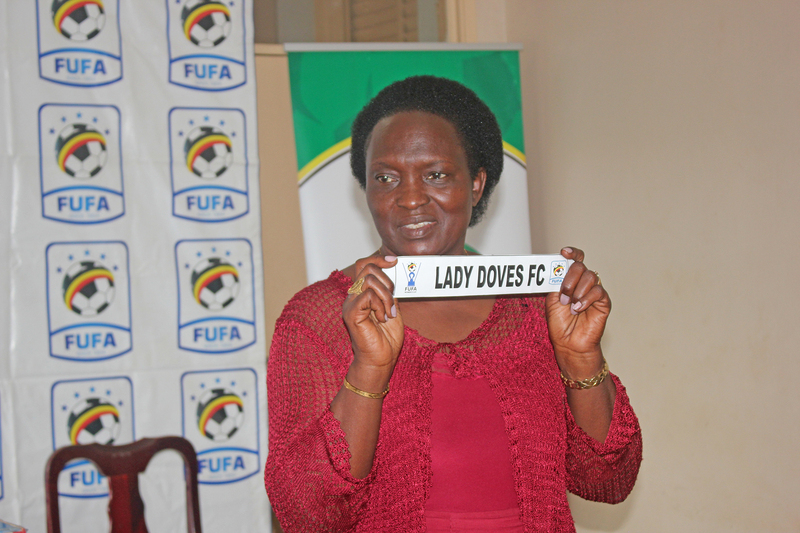 Lady Doves on the other hand eliminated Kampala Queens to reach the last eight. In the other two quarter final games, Kawempe Muslim Junior Team will take on Elizabeth group outfit She Mak while Echoes High School entertains Tooro Queens. Speaking at the draws, the Chairperson of uganda Women Football Association (UWFA), Margret Kubingi lauded FUFA for providing the perfect environment for Ugandan Women Football to operate. “I thank all the key stakeholders for supporting the teams that engage in women football development, said Kubingi. “I thank FUFA for providing the perfect environment to operate from, sponsors and the Government. The dates for the quarter finals are yet to be announced. No club has ever managed to successfully defend the championship. Olila High School won it in 2017 while Uganda Christian University were the champions last year.